In 1952, Jawaharlal Nehru was the first founder of establishing All India Institute of Medical Science institute. He proposed the grant design for AIIMS structure and educational artifacts. For his work, he got a support from wholehearted Home Minister, Rajkumari Amrit Kaur. The Health Survey and Development Committee recommended the establishment of national medical centres which would concentrate on expanding healthcare activities. With recommendations of Amrit Kaur and Jawaharlal Nehru, the proposal is created in favour of Government of New Zealand. Finally in 1956, the proposal is granted in act of parliament for all aspects of medical education and research. The main objective of Institute is to develop pattern of teaching for undergraduate and postgraduate medical education across all over the India. The Institute has comprehensive facilities in research, teaching and patient-care. As mentioned in parliament act 1956, the AIIMS provided medical and para medical courses for undergraduates and post graduates. Teaching and research are conducted in 42 discipline. AIIMS has 25 paraclinical and clinical departments with 4 super specialty centers to manage all types disease conditions and healthcare centers. Bachelor of Optometry MD M.Sc. Students should have to clear AIIMS entrance test. The candidate with CGPA grade only will have to apply the conversion factor in AIIMS MBBS 2018 application form. The age limit for candidates is 17 years as or on 31st december. The applicants should have to clear AIIMS entrance test. The result of the entrance test will be declared as per AIIMS validation. The common merit list will be prepared based on the result of AIIMS MBBS 2018. Separate merit lists will be prepared for the SC and OBC candidates. The candidates will get call for the counselling at AIIMS, New Delhi. In the counselling, Seats will be allotted in all the seven AIIMS institutes. 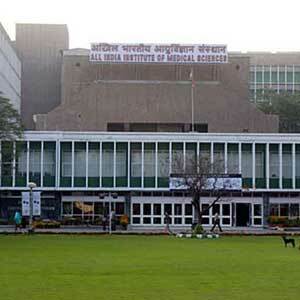 The selected candidates will have to report AIIMS institute to undergo medical examination by a Medical Board. 10+2 passing Certificate or equivalent examinations, showing the subject offered by him/her in the examination. Leaving Certificate of High School/Higher Secondary Examination, showing his/her date of birth. Migration Certificate from the University/Board. SC/ST Certificate issued by the competent authority. OBC candidates should not belong to Creamy layer. OBC certificate must be in the prescribed format. So, we at Select Your University, comes with bunch of goals for these students to make them live in Home-Based environment. Here, we have providing you the detail infra about facilities and accommodation of AIIMS institute..
Hostel is conveniently located near the college so, the students utilize less time in travelling and all. Hostel fee is completely affordable to students since, the Institute is affiliated with government of India. The life in hostels enables the students to spend ample time in the hospital, departments utilizing library and other facilities to ensure academic developments. Consumptive and healthy food is available for NRI/Local students. The laws are established to overcome Anti-Ragging. Want to Study in Abroad? Get free counseling by our experts & know more about top universities in abroad with fee structure. We hate SPAM and promise to keep your information safe. Select Your University © 2018. All Rights Reserved.